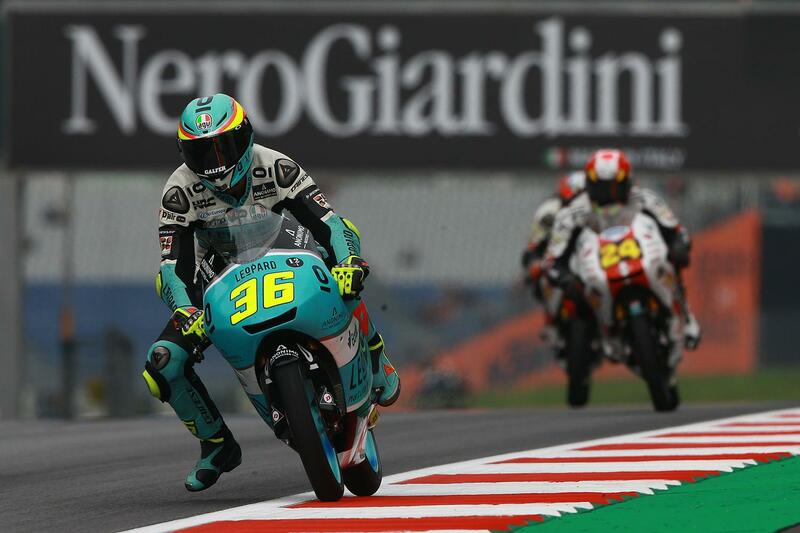 Moto3 championship leader Joan Mir has once again led the way on the opening day of action at the Czech Grand Prix, despite weather conditions meaning it was a tricky day of action for the lightweight class on a damp but drying track for both of the day’s sessions. 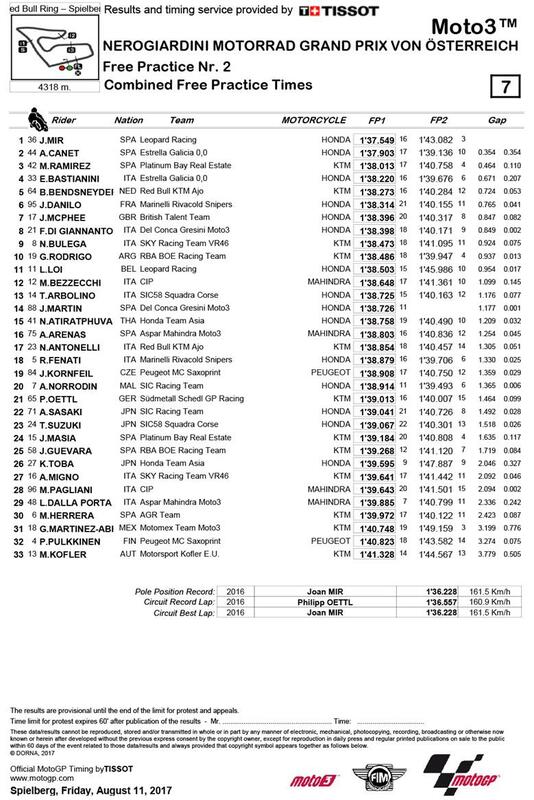 But, controlling the day’s action to end up on top of the time sheets with his morning’s free practice one time, leading title rival Aron Canet by 0.4 seconds. Marcos Ramirez was a surprise third, with Enea Bastianini, Bo Bendsneyder and Jules Danilo lining up on the provisional third row, ahead of a pleased John McPhee in seventh on the British Talent Cup Honda. “This afternoon the conditions started off really tricky, with the track bone dry in some corners and in other areas it was still full wet. We went out with a full wet bike to get some laps in and felt comfortable, but there was nothing really to gain because in some areas you’re just pushing the tyre, so we switched to a full dry setup and waited.